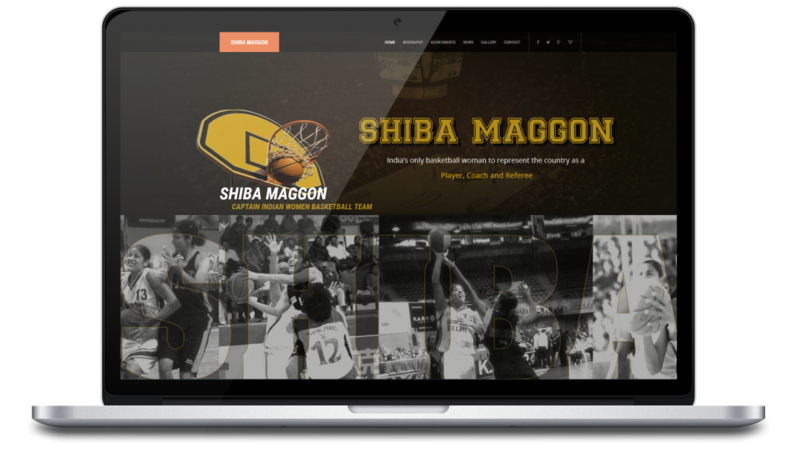 We at Ujudebug are pumped up with pride at being able to have the privilege of designing the official website of shiba maggon, a former player of the indian national women's basketball team and a gem in the history of indian women basketball. Former Captain of the Indian Women Basketball Team, an International referee, FIBA Coach Junior & Youth, FIBA Referee and the Lead Coordinator NBA (Delhi), Mrs. Shiba Maggon(Shiba Maggon) has given her all to indian women basketball and still continues doing so. We at Ujudebug are proud to present her official website and sincerely hope we have lived upto her expectations and her greatness in designing it. We hope our effort shall justify her dedication towards the sport of basketball in india. 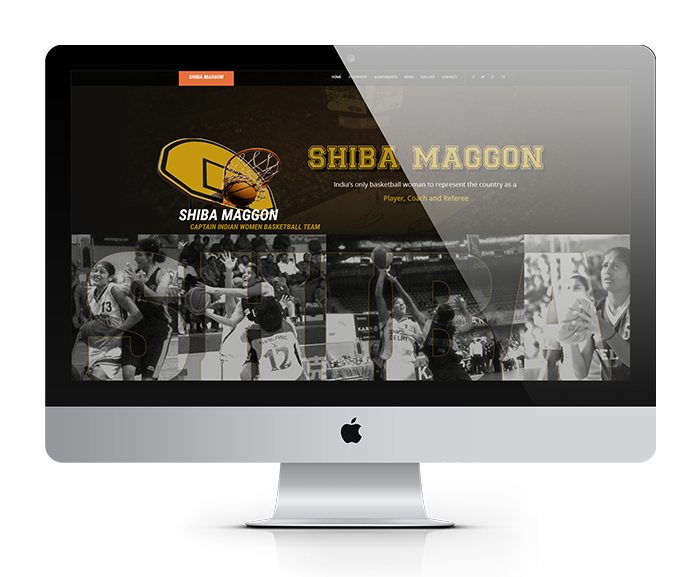 Shiba Maggon (born 16 March 1976 ) is an Indian basketball player who played for the India national team. She is currently the coach for the Indian Junior Team, as well as an International referee and one of the first women to qualify as a referee. Having come from a sporting family (her father was a cricketer in college), Shiba has been playing basketball since 1989. Her sister was an international netball player and also attended two Indian basketball camps. Her death in a car accident, inspired Shiba to take up basketball passionately. She is a product of Sports Authority of India (SAI). In 1992, she was selected for the Indian Junior team. Shiba had her initial schooling days in Karnal and later joined SAI at Chandigarh and stayed there till 1996. She later joined Western Railways, Ajmer in 1996 and was with them till 2002. In 2002 Shiba joined MTNL Delhi and played with them till Jan 2011. Maggon has played in 5 FIBA Asian Championships for Women and was ranked in the top 5 for Asian players in 2002. She was also part of Indian Team to take part at Commonwealth Games at Australia in 2006. She got a scholarship to the Southwestern Oklahoma State University in 1998. She majored in Physical Education. Maggon applied for a Diploma Course in Olympism and Humanism with the International Olympic Academy and successfully finished the Diploma at the historic city, Athens. Maggon was chosen to represent the whole world and give a vote of thanks speech on behalf of the 98 countries who were taking part in that sessions. Maggon is credited as being the first Indian woman to be an international FIBA certified referee, along with Maharashtrian Snehal Bendke. She is also an international coach, part-time voice over commentator and has worked in the past with NBA in India. One Bronze medal in 1991 in Youth category. One Gold medal at Youth National 1993. A Silver medal in 1994 Youth Nationals. One Gold Medal and Eight Silver Medals at Sr National Championship playing for Delhi, Year 2003 to 2011. Six federation cups Three Gold and Three Bronze medals. Two Gold Medals and One Bronze Medal at All India University level. She was a consistent player and a consistent scorer for the past 20 years, scoring an average of 15 points for the last championship. She has also played in 3 National games. She won a bronze medal in 1994 National games at Pune and another bronze at 2007 National games in Guwahati.